From transient places such as airports, mountain tunnel passes, and submarines, to fleeting spaces like shopping malls and video stores, from the mediator body in puberty, to the conversion of baptism, to the preconscious mind, to the metamorphoses of species, liminal spaces are both conspicuous and invisible, neither here nor there, Betwixt and Between. Liminality is a condition in which contradictions co-exist and categorization complicates. It may be whole and empty, temporary and infinite. It is a space of negotiation, conflict, and conciliation; where jaguars become men and men become gods. Liminality fosters the transitional into the transformative, with the power to dissolve dualities into a singular murky and magical substance. 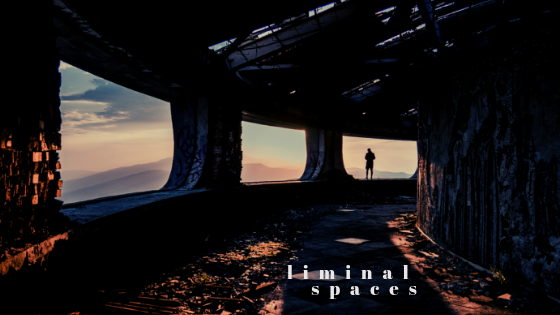 Caustic Frolic is seeking fiction, non-fiction, poetry, art, and digital submissions about all kinds of liminal spaces. We want your work to suspend and transform, to hang in the balance and to flutter over the threshold. Submissions should be no more than 6,000 words. For non-fiction submissions, please include a 100-200 word abstract. All art submissions must be in high-resolution digital format (PSD or PNG files) and provide dimensions of the piece as well as materials/medium employed. Digital submissions, which will be published solely on the website, should also be in high-res PSD or PNG for images, while video content should be sent in either AVI, FLV, WMV, MP4, and/or MOV formats.For genre nonconforming submissions: submit whatever format makes sense to you and we will work out the details on a case-by-case basis. Please feel free to contact Caustic Frolic with any questions. Please include a cover page with your name, telephone number, email address, and a short bio (up to 150 words), as well as social media handles you would like to include. The cover page should be attached as a separate document from your submission(s). Please do not include any identifying information in the body of your submission(s). All submissions are evaluated anonymously, so identifying information should only appear on your cover page. We accept submissions in any language, but an English translation must accompany all non-English texts. Non-English submissions will only be made published online. We accept multiple submissions (up to 5 pieces per author), but we ask that each submission be attached individually. send us your best works of poetry, fiction, nonfiction and art!